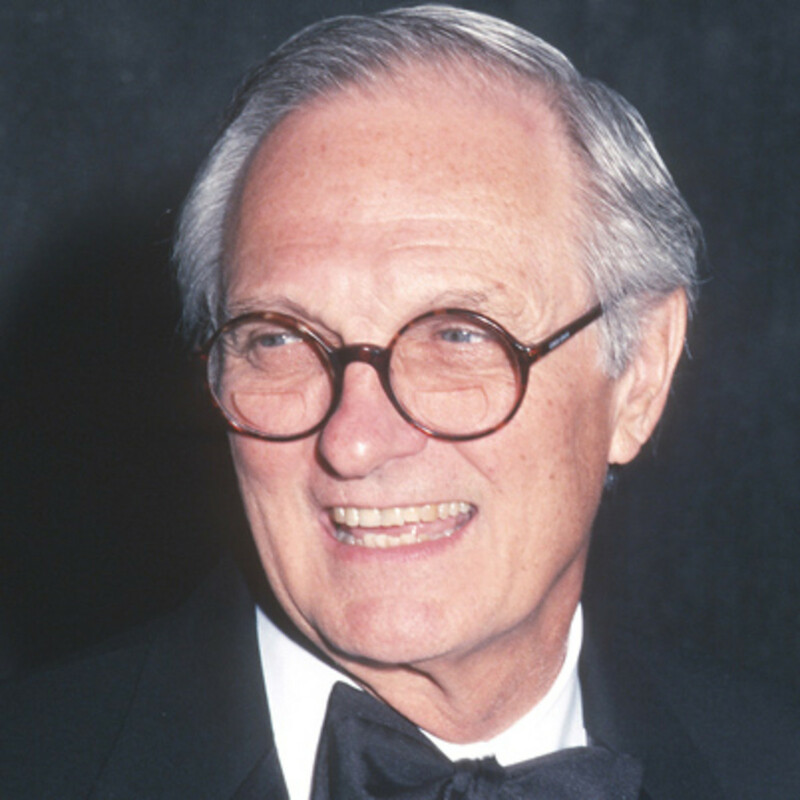 Alan Alda is an award-winning actor known for his portrayal of the iconic character Hawkeye Pierce on the popular television series M.A.S.H., and as host of the PBS series “Scientific American Frontiers,” as well as his many movie and Broadway roles. He established the Alan Alda Center for Communicating Science at Stony Brook University in New York and created Alda Communications Training (ACT), teaching people in many diverse fields to develop better communication skills. He is also a New York Times Bestselling author. His third book, If I Understood You, Would I Have This Look on My Face? My Adventures in the Art and Science of Relating and Communicating was published in June 2017. I met with him at the ACT offices in New York City to discuss his latest book and the craft of writing. As an actor and writer, how is communicating to a reader different than relating directly to an audience? There are obvious differences, such as the person is not there in front of you when you’re writing. There are also surprising similarities. In good communication you are affecting a person’s thoughts one step at a time. When you’re face to face, it’s essential to track their body language and intuit where they are in their mind or you’re liable to confuse or upset them. In this same way you need to envision the reader when you write. Estimating where they might be in their thoughts leads you to the next logical sentence. It’s an imaginative process. I love what George Gopen of Duke University wrote about this. He said a reader expects things in a sentence to be in a certain order. There shouldn’t be a lot of fluff. Some action should happen soon, and a sentence should have a point or punch line at the end. This is really obvious when you tell a joke. Each sentence should relate to the last one so there’s a smooth flow. It’s amazing how often you come across a sentence that doesn’t follow this prescription. We need connective tissue and a coherent thought process. Most of us do this automatically. However, sometimes, when I’m reading newspapers, which should be a model of clarity, I come across sentences where you have to go back at least once, sometimes two or three times, to find the point and figure out where the sentences are leading. I’m so impressed with Gopen’s thoughts about this. Even when I write an email I think about constructing sentences that way. When I don’t, I go back over it and realize that the reader might think I mean something entirely different than what I intended. You’ve talked about emoticons in emails. Sometimes I feel the need to use them in order to emphasize what I’m saying, that I’m conveying the right feeling. What are your earliest experiences with writing? I was eight when I thought I wanted to be a writer. My father had been in burlesque but by then was making movies in Hollywood. In our house there was a stack of burlesque sketches maybe two-feet high. They were in the public domain but were probably all stolen from various people. They’d suggest things that the comics should say, something bawdy and derogatory, much of which I didn’t understand. But I loved that you could put stuff down on paper that would make people laugh. I went into my father’s study once and saw a piece of onionskin paper in his typewriter. Sort of the sequel! How does writing scripts differ for you from writing books? That’s why it’s important to find other ways to convey information to your audience. Mamet said once (playwright David Mamet) “Plays should start later and finish earlier.” Get off it before you have to tie it up. If the writing isn’t good, there’s not much an actor can do to improve it. That’s right. You can make a good piece of writing bad but it’s hard to make a bad piece of writing good. What role does the unconscious mind play in your creative process? Do lines come from dreams? Yes, especially when I was first married. I’d wake up with a whole screenplay in my head and tell my wife. During this process I’d realize my dream wasn’t that great. It seems awfully good when you’re dreaming though. But, in spite of that, I think the unconscious is the most important part. It gives me something to prime the pump. I begin by putting almost anything down, whatever the unconscious is offering up. Once I get to that point, I leave it alone and wait. Yeah, and when it’s ready to come out I write it down. I used to ride thoughts like a horse, and it behaved about as well, very cantankerous, trying to throw me off its back. Now I move more steadily. As long as I’ve set it off in the right direction, it will come up with stuff that I didn’t expect. Not every thought that pours out is useful, but you will get the crux of it, the subjective and objective. Then I go into a more objective editorial phase where I discard all the obvious junk. We need to make sure that what we keep is our best material. Transitions are very important. To me they’re the most important part. Your wife is a writer. Do you get input from her and bounce things off one another? She’s the one who reads the first draft of everything I write. It’s important because a partner knows your values and how you think. They can be totally honest without being hurtful. Yes, it’s very important. How does writing a book change you? I was surprised, but writing this book actually did change me. The reason I wrote it is that I thought I knew something about communication and, in the process of writing it, I became better. I became more empathetic. I found people less annoying because I was seeing where their behavior was coming from, to some extent. So I was really surprised at that. I think that’s an indication that what I have written should not be taken as a tip or a list of guidelines. Merely reading about something doesn’t do it. Most times it’s putting it into actual practice and not just reading about what you ought to do. So you’re saying that changes come from action. Yeah, I find that interesting that you talk about that. I’ve just been married sixty years, and it’s been an ongoing process. Early on I realized I had another birthday the day we got married, because my relationship with Arlene started to change me in the way I related to people. The first two people I had the closest relationship with, my parents, needed some remedial work. What do you consider the most successful and most disappointing things to come out of your books? It feels great when people say they got some insight, some clue about their own lives after reading something I’ve written. Some people have told me that this book has changed their lives. Maybe that’s only second to being on the New York Times Bestseller list. Well, maybe not second, maybe first! (Laughter) But one thing I hope is that people don’t read it looking for a list of things that would make them better communicators. You mean like a formula. Yes, it’s not a formula. I hope that won’t be disappointing to them, because nobody wants to hear you have to revise the way you operate. It’s not about getting rich quick or getting impacted quickly either. It’s really deeper than that. It’s more of an exploration of what could make things better for people. You never know how many people you reach. It doesn’t have to be the same shared experience. Right, but it stimulates theirs. That’s why I think it’s important to be personal, to tell stories that are specific. The more specific you are, the more universal you can be. Have you experienced much criticism and do you think it can be truly constructive? How do you reconcile fear of criticism with the spontaneity of creativity? I used to be much more sensitive to criticism about things I’ve written and also earlier on with acting. The problem with criticism in acting is it’s not helpful to read anything they write about you–good or bad. It’s easy to get to that part every night that they’re praising and then lose your spontaneity and contact. Sometimes you’re praised for the wrong things, and sometimes it’s incomprehensible what the critique is about. You just know they don’t like you or something you’ve done, which is not terribly helpful. Some criticism stung at first. You can’t forget all of it, and I try to find something useful in it. Often years later it’s helpful. Sometimes someone who is just not the correct audience for your work criticizes you. I think it’s a little easier to read criticism about things I’ve completed. If you didn’t like it, that’s okay. But a lot of times it’s just about people missing the point. It’s like telling a joke. You don’t want to be too explicit, and some people are just not going to get it. Is it a good idea to make it more obvious the next time you tell the joke? Maybe not. A really humorous story can be improved with subtlety. You don’t need to be crude by making it available to everybody. I think I just have to accept that. Right, but I do try to get inside the mind of the person I’m trying to communicate with and, to some extent, in my own mind I’ve actually chosen the person I’m talking to. Sometimes it may not be the person who winds up reading what I wrote. When this occurs I take responsibility for the miscommunication. I’m not going to blame the reader. It’s nobody’s fault. What are your favorite books, authors, and genres? Non-fiction. I’ve joined a book club now to force me to read novels. The other members always ask, “What do you have against novels?” And I say you can just tell they’re making it up, although the best novels don’t have that feeling. It’s plausible and feels like it’s happening. One of my favorites is The Handmaid’s Tale that takes place in the future. Yes and it’s wonderful and as good as the book. It extends the story beyond the book. I read that the author (Margaret Atwood) decided not to use any event in the book that hadn’t actually occurred in the past. That doesn’t strike me as science fiction or dystopian but more like the history of incidents that haven’t happened yet. You’re quoted as saying: At a very early age, I wanted three things: to work with material I valued and people I respected in front of an audience that got it. I could have been in a small regional theater for the rest of my life, and I wouldn’t have been disappointed. You can serve yourself, serve an audience or serve the art or muse. Would you agree that the purest expression of one’s creativity and passion is serving the art? Yeah, I was lucky enough to figure that out in my early twenties, and it’s been true all my life. Sometimes I was a little too strict about it. I wouldn’t work for a couple of years because I turned things down. Then I realized I had to work. And right after that I got offered M.A.S.H. (Laughter). Everyone goes through down periods. Success wasn’t the thing that kept me going. It was what you just said. When I did Louis CK’s Horace and Pete (a recent award-winning web series), it didn’t have as large an audience, certainly not like others we’ve seen, and I couldn’t have been happier. I did that about a year ago and have turned down a lot of things since then because nothing was interesting enough. I’ve had more fun doing this. When we do the same thing over and over again it’s like scratching the same nerve. You don’t get much out of it. 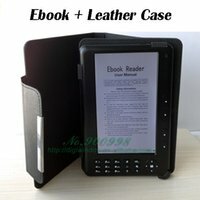 What aspects of publishing and marketing do you like? I really enjoy getting up in front of thousands of people and doing a little performance based on the book. When I published my other two books I’d blend them together and end up with an hour’s talk. I donate all of my fees to the Center for Communicating Science. It’s entertainment but it means something. Do you feel there’s another book in there somewhere? You never know. It took me ten years since the last one. The second one was two years after the first. I find when things are meant to be they fall into place. What are your goals for this interview? That’s interesting. I didn’t really have goals. I just looked forward to talking about writing because it’s such an interesting process that we do. Interviewed at: Offices of Alda Communications Training (ACT), 157 Columbus Avenue, Suite 501, New York City. CREDIT: This interview first appeared on the cover of Writer’s Digest Magazine’s November/December 2017 issue. About the interviewer: Karen Corinne Herceg writes poetry, prose, essays and reviews. Her latest book is Out From Calaboose, by Nirala Publications (2017). She lives in the Hudson Valley, New York and is a regular contributor to Compulsive Reader.